Luis Ortiz made a visit on Friday night to the Baptist Hospital of Miami—not as a patient, though. He was there, along with his management team, to get documentation. According to his trainer, German Caicedo, Ortiz had been previously admitted to the emergency room for high blood pressure on two separate occasions. Still, Caicedo and Ortiz know that ignorance is no excuse. Caicedo makes a very good point. Why would Ortiz and his team risk shocking VADA and the WBC? It would have caused much less of a scandal if they had simply reported it. If it turns out to be true that Ortiz’s doctors prescribed him this life-saving medication and that he had to visit the ER twice because of high blood pressure, then it’s going to come down to the DiBella and the WBC vs. the American Medical Association. Is that a fight those organizations really want to have? 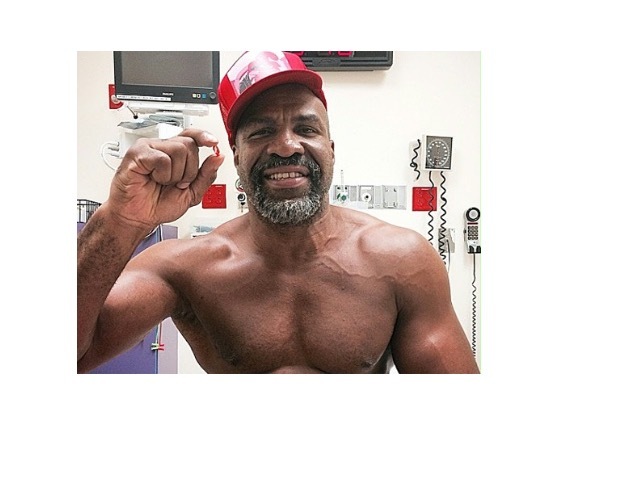 If a licensed medical doctor prescribed a certain medicine to Ortiz, who are they to say it’s not right? And if the WBC calls off the Ortiz-Wilder fight, then they must strip Luis Nery of his bantamweight title. After all, the 118-pounder tested positive for zilpaterol before his August fight Yamanaka. Does the WBC think it’s okay for fighters to inject substances used to increase the size of cattle, yet think it’s wrong for fighters to use medication prescribed for high blood medication? There can’t be different standards for different fighters. That wouldn’t be right. 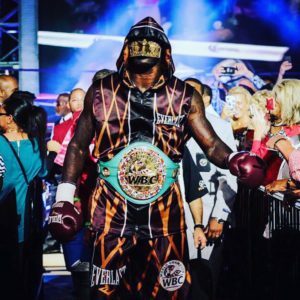 What does Deontay Wilder have to lose in taking this fight? If Wilder wins handily, he can claim it was an easy fight because Ortiz is a bum. If he struggles and still scores a victory, he can claim it was only hard because Ortiz has been doping. And if Wilder loses, well, he can again say it’s because Ortiz has been doping. There’s no way Wilder can’t spin the result of the fight into a victory. Unless of course, Wilder loses and loses big. 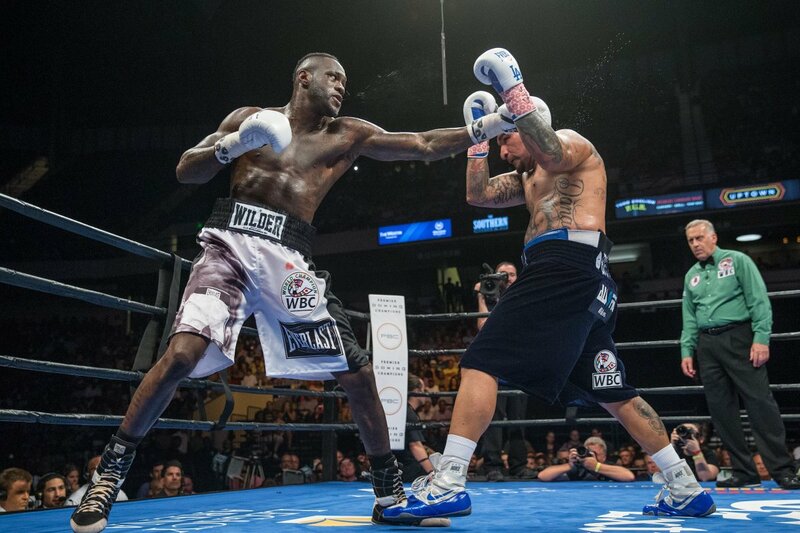 Wilder he has a choice: face another easy opponent or take on Luis Ortiz on November 4th. Which one seems less cowardly to you? ​WBC Heavyweight World Champion Deontay Wilder will put his belt and his undefeated record on the line on November 4th in Brooklyn, NY, giving Cuban southpaw Luis Ortiz his long-sought shot at a world title. Wilder (38-0, 37 KOs) will make his sixth defense of the belt, and his second foray to Barclays Center. “The Bronze Bomber,” as Wilder is known in homage to the great Joe Louis, was a bronze medalist at the 2008 Beijing Games. His last outing at Barclays Center in June of 2016 culminated with a brutal knockout of Poland’s Artur Szpilka. At 6-foot-7 and 228 pounds, the Alabama native is an imposing force with dynamite in his right hand: we are talking thirty-seven knockouts out of thirty-eight professional fights. ​Luis Ortiz (27-0, 23 KOs) is a product of the vaunted Cuban boxing program, and he brings the full skill set that one expects from that system. 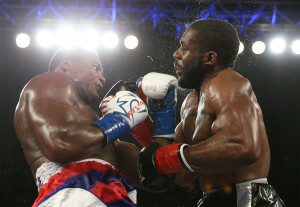 Having defected to the USA seven years ago, the 6-foot-4, 240-pound Ortiz made his mark defeating veteran contenders Bryant Jennings, Tony Thompson, and Malik Scott. Now thirty-eight, Ortiz is hungry and determined to make the most of his opportunity. With WBO heavyweight champion Joseph Parker in action this weekend in Manchester, UK, against Hughie Fury, with Anthony Joshua defending his IBF and WBA belts against Kubrat Pulev in October, and now Deontay Wilder taking on Luis Ortiz in November, this fall is the season of heavyweight boxing. ​Luis Arias is a young (26), undefeated (17-0 8KO), American middleweight boxer who will be appearing on the June 17th HBO pay per view showing of the rematch between Andre Ward and Sergey Kovalev. Arias will look to make a big statement in the division as he takes on top ten ranked Arif Magomedov. Boxing Insider was able to speak with Arias as he took a break from his training camp in Florida. Boxing Insider: Tell the fans a little about yourself and your fighting style. Luis Arias: I was born and raised in Milwaukee, Wisconsin. I picked up boxing at a young age, at about 7, 8 years old. I then had my first amateur fight at 8. I was an American amateur, seven time national champion, Olympic trial finalist. I’m currently 17-0 as a pro and ranked in more than one of the sanctioning bodies organizations. I have a very fan friendly style. Considered more of a boxer puncher, but I like to be more of a puncher first. I’m a little aggressive, I like breaking my opponent down. I like to go to the body like no other, I feel like I’m one of the best body punchers in the game and I’m ready to prove it. Boxing Insider: You are a young fighter, what does it feel like to be fighting on the undercard of such a big event? Luis Arias: It feels great. It’s a fantastic opportunity. It’s like every fighters dream to make it to HBO. To have my first televised fight to be on a HBO pay per view card is amazing. It’s just truly a blessing and goes to show you that hard work really pays off. I’ve been working hard for this and my time has come. Boxing Insider: What do you know about your opponent Arif Magomedov? Luis Arias: Well, I know everything there is to know about him. I studied him, my team has studied him. I know he’s a tough guy, young, aggressive. I know he comes to fight. But he does already have a blemish in his record, he’s been beat before and come June 17th I have the perfect game plan to beat him again. Boxing Insider: Do you feel that a win against Magomedov puts you as one of the top 20 middleweights in the world? Luis Arias: Well, I’m already one of the top 20 middleweights in the world, but once I get this guy out of the way I will definitely be in the top ten. All I have to do is put on an A class performance, show the crowd that I am a threat to anyone in the division. I will be defending my belt (USBA) for the second time and I will definitely be in the top ten. The goal is to be the number one contender by early next year. Boxing Insider: That leads into my final question, what are your overall goals for 2017. 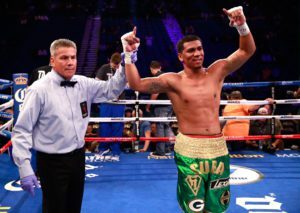 Luis Arias: My goal is to creep up that ranking, keep climbing and to be the number one contender. GGG and Canelo are having a big showdown in my weight division. Once their fight is over with both are going to have to fight someone early next year, and my plan is to be the number one contender and force the winner of that fight to fight me. I want top 10 after June, by the end of the year be at least top 5 and just keep climbing and go from there. 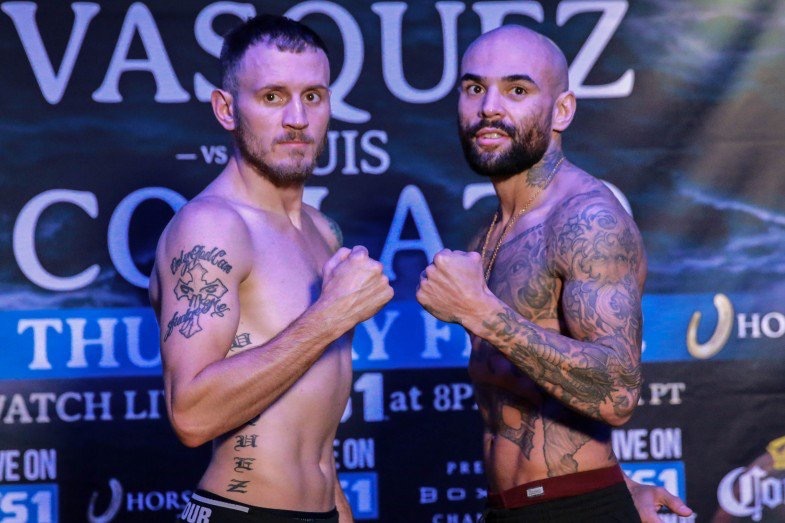 Luis Collazo Stops Sammy Vasquez in Tunica in 6 Thursday! It was a show of good fights all in the welterweight division by Premier Boxing Champions at the Horseshoe Casino, MS & Hotel Thursday night over FS-1. Former WBA world welterweight champion Luis Collazo, out of Queens, NY, may have been behind after five rounds though he scored a knockdown in the third round over Sammy “The Who Can Mexican” Vasquez, 21-2 (15), out of Monessen, PA. In the same round he had a cut over his right eye. A left and a right to the chin floored Vasquez. Vasquez looked to take the first two rounds in this battle of southpaws. After losing the third he came back to take the fourth with the fifth being close though he may have pulled it out. In the sixth round Collazo landed the same combination as in the third round knockdown. A straight left to the chin followed by a right hook to the chin. Vasquez went down partially on his right side facing the canvas for the full count by referee Bill Clancy at 1:27 of the round. It was the second straight loss for Vasquez after winning first twenty-one for the two tour of Iraq Army Sgt. In the co-feature Cuban welterweight Yordenis Ugas, 18-3-1 (8), out of Miami, FL, won a hard fought split decision over Levan Ghvamichava, 17-3-1 (13), of GEO, now out of Hayward, CA, over 10 rounds. Ugas was the harder hitter landing overhand rights to the head of Ghvamichava all night to get past the hands held high of Ghvamichava. He had a strong body attack trying to get the guard down of Ghvamichava. In the fifth round Ugas landed three or four low blows with only warnings from referee Clancy. It wasn’t until the eighth round a point was finally taken on the second low blow by Clancy. The scoring was strange with Ghvamichava getting a 95-94 nod while Ugas took a 97-94 which seemed in line while the 99-90 was way off. Welterweight Eddie “Escorpion” Ramirez, 16-0 (11), out of Aurora, IL, won after nine rounds when Ryan “Cowboy” Karl, 13-1 (9), out of Houston, TX, couldn’t come out for the tenth round. Ramirez looked like he was up 86-85 if not by more. It was give and take the entire fight with Clancy working as the referee. Welterweight Jose Miguel Barrego, 11-0 (10), out of MEX, scored a first round knockout with a left hook to the liver over Tomas Mendez, 23-9 (16), out of DR, at 2:35 of the round. Barrego came out firing and never stopped throwing punches. ​Boxing’s heavyweight division has always been its most glamorized weight class. Maybe it appeals to deep human longings for violence – after all, it’s hard to take your eyes off of, say, a nasty car crash or a blazing forest fire. That’s the guilty pull that thrusts its way into our conscience when it comes to boxing’s big boys, the threat of imminent destruction resting in each of their knuckles. Even at its oft molasses-esque pace, the impending sense of knee-buckling evisceration bound to occur at any moment funnels our greatest anxieties into eye-peeling attention. ​The magic of the heavyweight division has simmered to a melancholy halt over the past decade. Both Klitschkos defended every belt during that span with an iron lock as opponents languished at every opportunity against them, baffled by each brothers’ ungodly reach and boxing prowess. With the subsequent rise of welterweight division stars like Manny Pacquiao and Floyd Mayweather – fighters who blended lighter-class speed with heavy hands – heavyweight acclaim fell victim to any sport’s worst nightmare – predictability. After all, fans watch the sport for the blood-gushing drama that lingers in every round, and as dominant a force as the Klitschkos were, their dominance boxed-out any hope for parity at the weight. ​All of this made the toppling of this stale infrastructure that much more pivotal. After Vitali Klitschko pseudo-retired and Tyson Fury upset Wladimir Klitschko last year, the race to heavyweight supremacy was wide open for the first time in years. It’s like a king who’s overthrown by his court of nobles, each hungry to retain their stronghold of authority in a moment of instability. As positions of power are more clearly defined, we’ll find out which fighters are true royalty and which are none more than jesters, playing the public for fools. ​Deontay Wilder, who scooped in to capture Vitali’s old WBC belt last year, stands out amongst the heap. His long reach both accentuates him and bodes as his possible downfall. While he can keep smaller fighters at the end of his jab, it remains to be seen whether he will be punished for his windmill punching style by someone with counter punching ability. Wilder’s talent becomes more and more solidified with every victory, but he’s still looking for that defining win to stamp his name at the top. ​Meanwhile, Tyson Fury, the man who dethroned Wladimir Klitschko, stands as the inherent ringleader of the heavyweight circus. Not only is he another towering force, he’s a proven one, too. Fury’s large in-ring presence only cowers to his out-of-ring persona, as controversially flawed as it may be. Not only has Fury stopped many past foes, he went the distance with a future hall-of-famer in Klitschko. A face-off with Wilder would be massively appealing. ​Underneath the radar, Anthony Joshua of Great Britain lurks as the most potent of the group. As a current world champion in his own right, his skillset has never been the question for the former Olympian. One glimpse of his style, and you’d be hard-pressed to deny his ring savvy, power, and subtle spacing ability. The biggest question for Joshua will be whether his quick ascent to the top tier of the division robbed him of too much vital professional experience. He should be fine if his matchmaking continues to build at a gradual rate. ​Below this champion-layer are a variety of contenders eager to shine past the expectations. 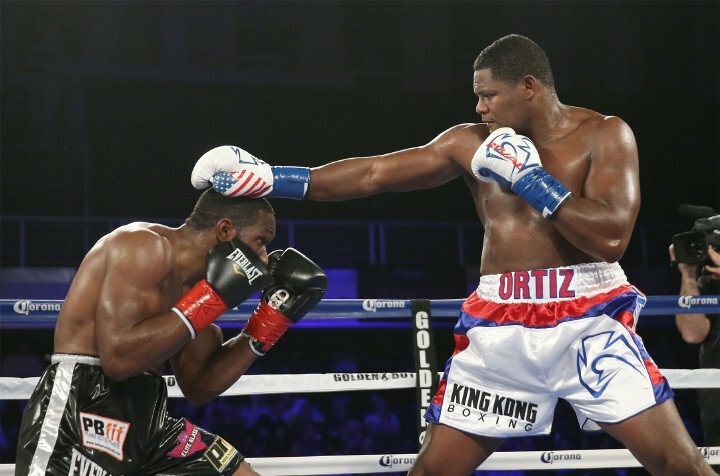 Luis Ortiz, a Cuban with enormous power, poses danger to anyone in the way of his punches, though exactly how dimensional his game is still needs to be determined. A hidden gem from New Zealand named Joseph Parker also holds much promise, but his talent won’t be acknowledged by pundits until he fights the best as well. Just outside of the picture, veterans David Haye, Kubrat Pulev, and Alexander Povetkin all have fallen to Wladimir Klitschko, yet place hope in the possibility that they match-up better with Wilder, Fury, and Joshua. And don’t forget the old sensei Wladmir Klitschko. All it takes is a rematch win against Fury and he’ll have recovered much of the luster lost in their first fight. Yet as age drains him of more of his physical brawn, he will have to adjust to keep up with the young blood at heavyweight. ​Optimism is running rampant at heavyweight today, and for good reason. Besides a collection of worthy challengers, the division seethes with one key ingredient: volatility. Just as the action in the ring often crashes to a perilous halt, the ever-shifting landscape at the weight mirrors that. Unlike most divisions in boxing, the heavyweight picture is comprised of numerous promoters, many without qualms about working with each other. Hopefully this leads to great showdowns in the near future between the figurative and literal titans of the sport. The following is the Boxing Insider notebook for the week of August 23rd to August 30th, covering the comings and goings in the sport of boxing that you might have missed. Fans at AT&T Stadium, in Arlington, Texas will be in for a treat on Saturday, September 17, as top welterweight contenders Sadam “World Kid” Ali (22-1, 13 KOs) and Eddie “E-Boy” Gomez (19-1, 11 KOs), make their grand return to the ring in respective 10-round fights. Ali and Gomez will be headlining the preliminary undercard which will start off the action on Mexican Independence Day weekend, ahead of the live Pay-Per-View telecast, on select channels before the pay-per-view event and digitally on HBO Boxing’s YouTube Page, www.GoldenBoyPromotions.com, www.ringtvlive.com and additional websites and outlets where Ring TV is available starting at 6:30 p.m. ET/5:30 p.m. CT/3:30 p.m. PT. Diving head first into the action in the Lone Star State this September will be the pride of Brooklyn, as Sadam “World Kid” Ali makes his grand return to the ring to take on Saul Corral (21-7, 12 KOs) of Agua Prieta, Sonora, Mexico in a 10-round welterweight fight. The Bronx’s Eddie “E-boy” Gomez will also be participating in a 10-round fight defending his IBF North American Welterweight Title against Mexican fighter Dario “Maczio” Ferman (13-1, 10 KOs). Tickets for the most anticipated fight of the year go on sale to the public on Friday, Sept. 2 at 11:00 a.m. PT. The Saturday, Nov. 19 showdown between No. 2 Pound-for-Pound* and WBO, WBA and IBF Light Heavyweight World Champion Sergey “Krusher” Kovalev (30-0-1, 26 KOs) and No. 4 Pound for-Pound* and Two-Time World Champion Andre “S.O.G.” Ward (30-0, 15 KOs) will crown the best pound-for-pound fighter in the world at T-Mobile Arena in Las Vegas. Tickets start at $55 and are available on axs.com and the T-Mobile Arena box office. Kovalev vs. Ward “Pound for Pound” is presented by Main Events, Roc Nation Sports, Krusher Promotions and Andre Ward Promotions and sponsored by the MGM Grand Hotel & Casino. The championship event will be produced and distributed live by HBO Pay-Per-View® beginning at 9:00 p.m. ET/6:00 p.m. PT. Luis Ortiz has split with Golden Boy Promotions and will now be a promotional free agent. GH3 Promotions is honored to announce the signing of undefeated heavyweight Ray Edwards to an exclusive promotional contract. In his pro debut, Edwards won a four-round unanimous decision over Tyrone Gibson in Hinckley, Minnesota. Looking to add to its ever growing stable of young, up-and-coming talent, DiBella Entertainment (DBE) has announced the signing of undefeated Spanish prospect Jon Fernandez and Puerto Rican amateur standout Jose Roman to exclusive long-term promotional contracts. 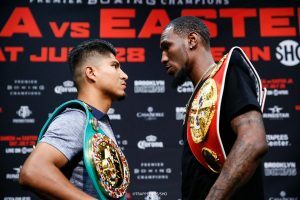 Both Fernandez and Roman will be making their DBE debuts on the upcoming special edition Broadway Boxing card in the Premier Ballroom at the beautiful Foxwoods Resort Casino in Mashantucket, CT, next Thursday, September 1. Broadway Boxing is proudly sponsored by Nissan of Queens, OPTYX, Azad Watches, and Christos Steakhouse. At just 20 years of age, the junior lightweight Fernandez (8-0, 6 KO’s) is one of the most promising young prospects to come out of Spain in years. Standing at 5’11”, Fernandez is extremely tall for the 130lb. division and has devastating power in both hands. Fernandez caught the eye of former middleweight kingpin and future Hall-of-Famer Sergio Martinez when he was still fighting as an amateur. 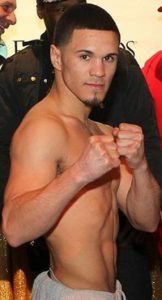 Martinez immediately saw star potential and signed Fernandez to his promotional company, MaravillaBox Promotions, in 2015 and soon after began courting the young Fernandez to his own former promoter Lou DiBella. DiBella and Martinez made things official in June, signing Fernandez to a co-promotional deal at this year’s Boxing Writers Association of America (BWAA) awards dinner, where DiBella received the James A. Farley award for honesty and integrity in boxing. A native of the boxing rich city of Bayamon, Puerto Rico, Roman began boxing at 13 years of age amassing a stellar 124-17 record along the way. Roman joined the Puerto Rican national team in 2012, winning three consecutive national championships from 2013-2015. “I couldn’t be more excited to get my career underway behind such a great promoter as Lou. DiBella has done tremendous work with so many great fighters over the years, and I am looking forward to growing and shining under the DiBella Entertainment banner. It is every fighter’s dream to fight in the US, and now I have the opportunity to make my pro debut here, and for that I want to thank my manager Ricardo Figueroa and my trainer Emilio Lozado for getting me this amazing opportunity,” said Roman.